The following is a transcript of the My Living Room Newbery/Caldecott Awards ceremony. “Bush operatives. Whatcha gonna do? “Well, we’ve got a lot to cover and I’ve got a roast in the oven [appreciative audience chuckle], so let’s begin. 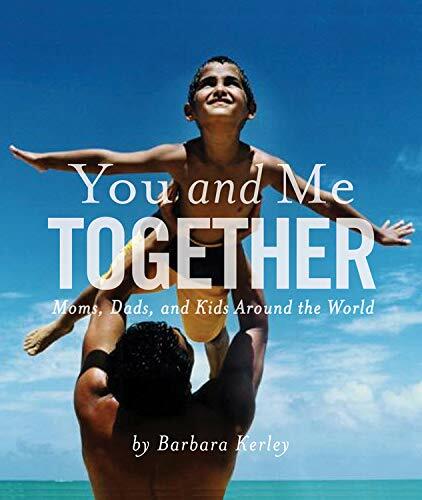 “After reviewing approximately one thousand picture books this year, I am announcing this year’s Living Room Caldecott Medal goes to... You and Me Together: Moms, Dads and Kids Around the World, by Barbara Kerley! “The incredible photography and simple text combine in this book perfectly, allowing us as the readers to bring our own level of understanding to the experience. It can be read simply to a young child, used as a book for a beginning reader, or turned into a cultural learning tool for an older child using the additional information about each picture listed in the back of the book. This is a book meant to be enjoyed again and again. “The Living Room Caldecott Honor Awards go to... The World That We Want, by Kim Michelle Toft. Picture the natural world in all its diversity, captured on silkscreen and presented for viewing and reading enjoyment. Then pick up this book, and realize that you could not even imagine it done this well. The next Honor Book Award goes to... Because of You, by B.G. Hennessy. Simple words and lovely watercolors move us through this book about how important each of us is. The last Honor Book for this year is... The Great Fuzz Frenzy, by Janet Stevens. Venture into the world underground with a group of prairie dogs and the tennis ball they’ve just found. You’ll laugh out loud. “Let’s give all our winners a round of applause. “Now, with far fewer books reviewed, I present the Living Room Newbery Awards. And the winner is... 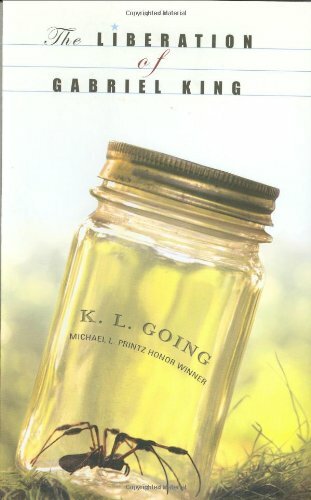 The Liberation of Gabriel King, by K.L. Going. “Set in Georgia in 1976, Gabe confronts his fears with the help of his best friend Frita. As the daughter of a baptist preacher, she knows something about liberatin’. As the only black kid in her class in racist Georgia, she has her own fears to confront. Humorous and humanist and not heavy-handed, this book can teach us all. “The Honor Award goes to The Diary of Ma Yan: The Struggles and Hopes of a Chinese Schoolgirl, by Ma Yan. What would you sacrifice for an education? Would you go hungry each week, with only one bowl of rice at lunchtime? Would you walk for six hours to get home on the weekends because you don’t have the $0.25 to get a tractor ride? That is what this girl does in rural China, in this current time, to go to school. You’ll appreciate life in a new way. The next Honor Award goes to Memories of Survival, by Esther Nisenthal Krinitz, an excellent book about the Holocaust for older readers. The author’s mother couldn’t write about what happened to her, but she created amazing quilts to show her story. Her daughter writes her mother’s words and we enter a time that we should never forget. And for a lighter tale, the Honor Book Award goes to Lowji Discovers America, by Candace Fleming. As Lowji and his family move to America from India, he finds new ways to make friends and fulfill his dream of having a pet of his own. A fun book for third and fourth graders. And you. “Let’s again give all our winners a round of applause.